Need a calming caress? This herbal infusion is made to soothe and nourish the skin after shaving or depilation. 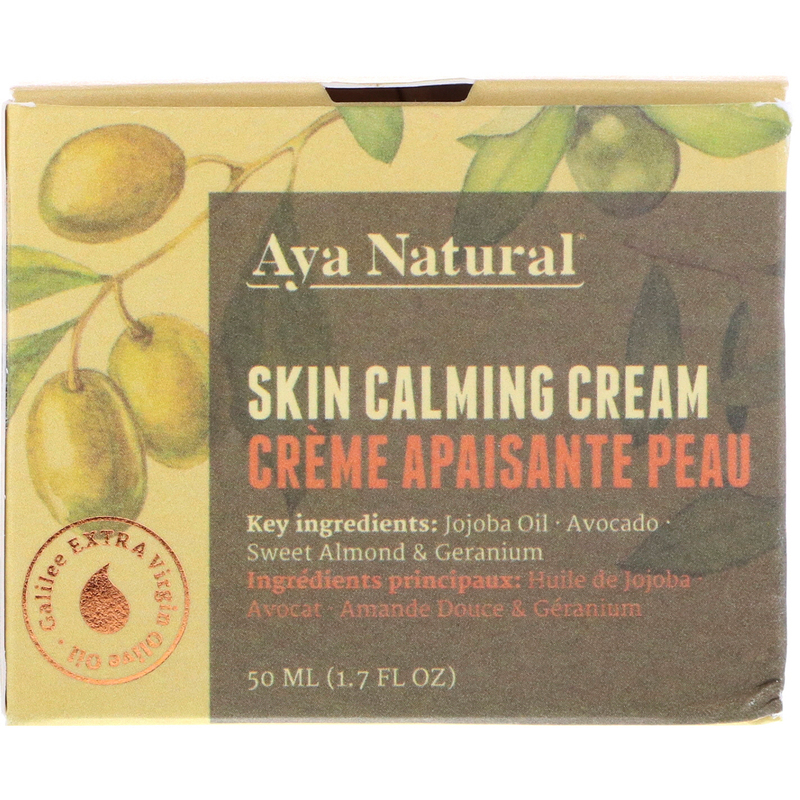 Made with skin-regenerating Extra Virgin Olive Oil and extra moisturizing Jojoba Oil. With added Avocado and Sweet Almond Oils that relieve dry sensitive skin and Geranium that helps promote skin renewal. To Enjoy: Apply to the skin after shaving, depilation or hair removal. Massage gently until fully absorbed. Purified aqua, cetearyl alcohol, cetearyl glucoside, olive (olea uropaea) oil, castor (ricinus communis) oil, jojoba (buxus chinesis) oil, wheat (triticum vulgare) germ oil, avocado (persea gratissima) oil, sweet almond (prunus amygdalus dulcis) oil, palm (elaeis guineensis) oil, shea butter (butyrospermum parkii), evening primrose (oenothera biennis) oil, honeysuckle (lonicera japonica) flower extract, seabuckthorn (hippophae rhamnoides) oil, tocopheryl acetate (vitamin E), lavender (lavandula angustifolia) oil, geranium (pelargonium graveolens) flower oil, tea tree (melaleuca alternifolia) oil, lonicera caprifolium flower extract, ylang ylang (cananga odorate) flower oil, citric acid. 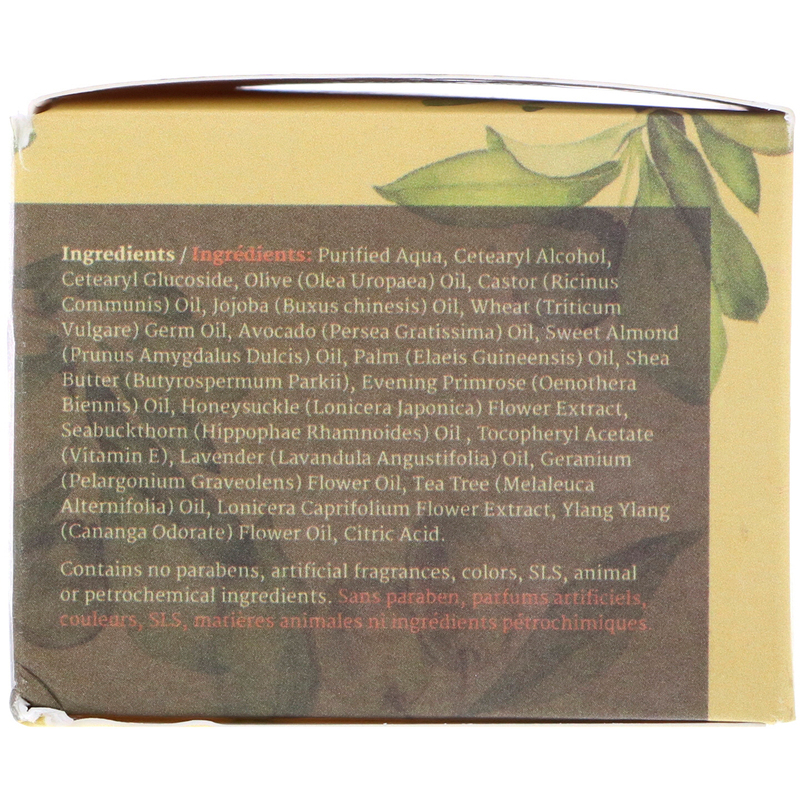 Contains no parabens, artificial fragrances, colors, sls, animal or petrochemical ingredients. Take Care: For external use only. Avoid contact with eyes. In case of contact, flush eyes with fresh water. Use this product only for its intended purpose and in accordance with instructions for use. Do not swallow. Keep away from children. Do not use if you are sensitive to any of the ingredients. Not recommended for gluten sensitivities. Keep in a cool dry place with temperature below 30°C (86°F).